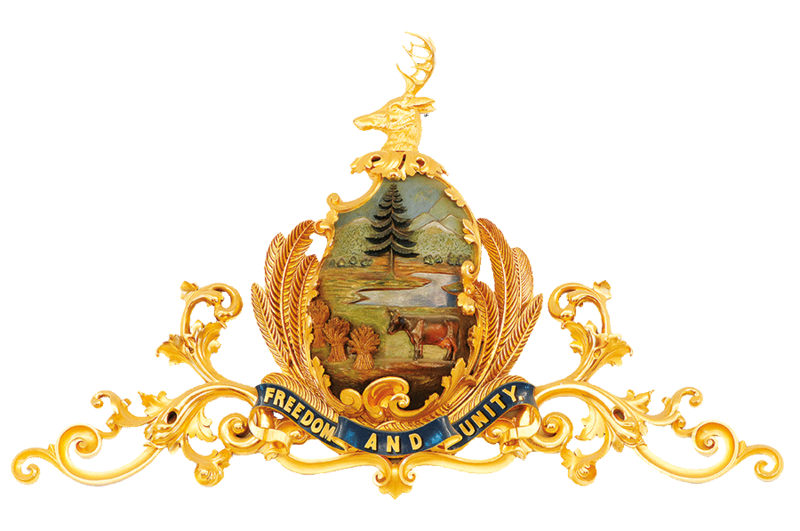 Will you join the work of the Friends of the Vermont State House? Your support helps to make real the promise made years ago to restore the State House and to preserve and interpret its historic integrity. Your gift contributes to the ongoing conservation of the State House collection of historic art, memorabilia, and furnishings. Your gift also supports programs that promote public awareness of the building, its history, and its continuing function as Vermont’s seat of government. These free public programs include topical events as well as State House tours specifically designed for the thousands of Vermonters and tourists who visit each year. Whether they are students, tourists, Vermonters or international travelers, the nearly 150,000 annual visitors to the State House are warmly welcomed through the great doors by Friends’ volunteers. Adults and children alike are awed by what they see and learn there and amazed by the building's beauty, its history, and its unique stature as a living museum. This is your invitation to contribute to the Friends’ mission. Together we can help ensure history and meaning of Vermont's State House continue for everyone's appreciation. The Friends of the Vermont State House, Inc., is a nonprofit 501 (c) 3 organization. Gifts made to further the work of the Friends are tax deductible.